Well-cared for and spacious family home offers country living in desirable Beechwood Trails community. Large wrap around wooden deck overlooks the huge partially fenced yard with apple tree and 12x20 concrete floor shed. Well insulated home includes ceramic tile and wood floors to compliment the entry and upper level. 12x24 master suite includes private bath and two double closets. 6 panel doors,. Textured wood laminate floors in lower level which is mostly finished and home to 3 bedrooms,new carpet, full bath, storage and utility room that includes cabinets and counter top and space to create your own rec room. On demand Bosch water heater, newer water softener, High efficiency gas furnace. W&D stay as does 6 person hot tub in extra deep garage with enough space left to park two cars. SchoolsClick map icons below to view information for schools near 7864 Beecher Road Pataskala, OH 43062. Home for sale at 7864 Beecher Road Pataskala, OH 43062. Description: The home at 7864 Beecher Road Pataskala, OH 43062 with the MLS Number 219003536 is currently listed at $235,999 and has been on the Pataskala market for 69 days. 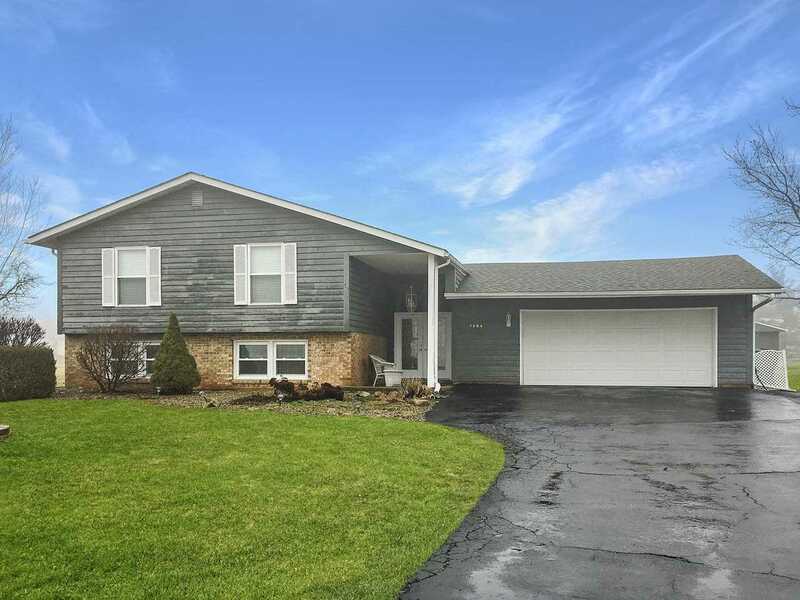 You are viewing the MLS property details of the home for sale at 7864 Beecher Road Pataskala, OH 43062, which is located in the Beechwood Trails subdivision, includes 5 bedrooms and 3 bathrooms, and has approximately 1703 sq.ft. of living area.